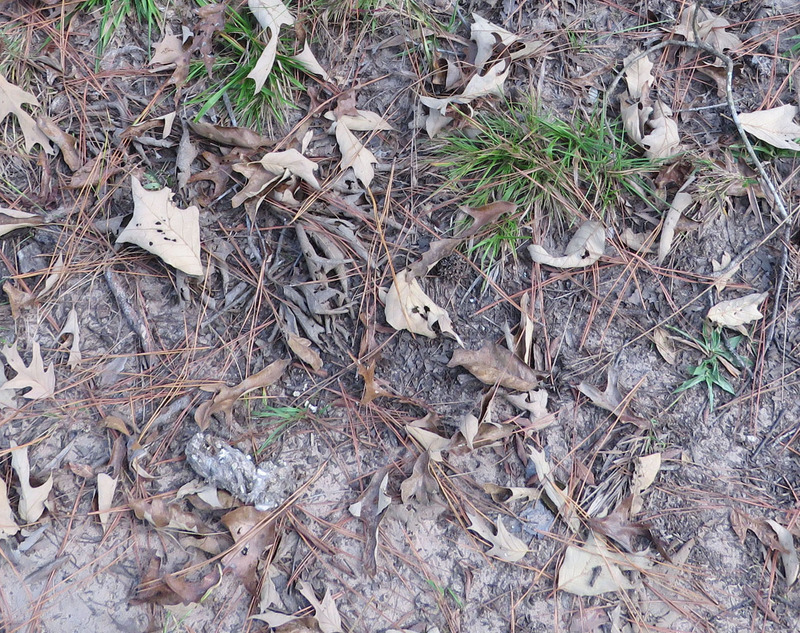 Sometimes as I walk in the woods, I see a tell-tale splash of white on bark and fallen leaves, that tells me a large bird has been roosting in the tree above. Then I start looking around to see if I can find a pellet. This last time I was literally standing on it. There it is. You can see some small bones to the right. Another bone that was off by itself. I take them home and pull them apart to look at the bones. 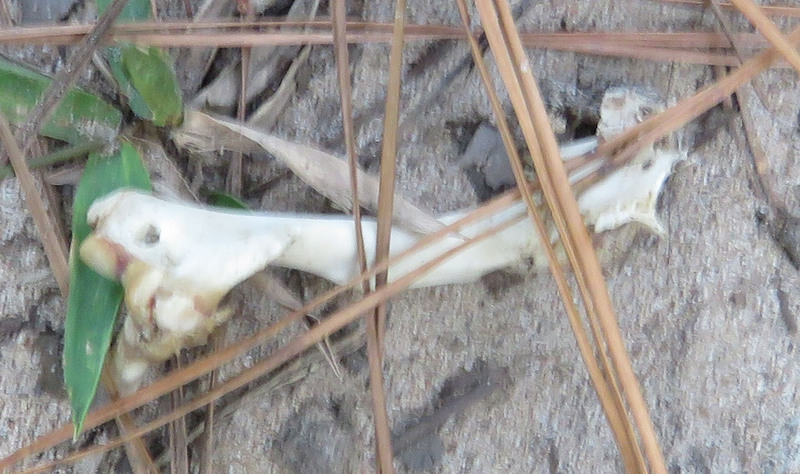 In this one, I didn’t find the skull, but the bones I did find seemed pretty large to me, and there were some pretty good claws. I am guessing they were from a gopher or maybe a squirrel. 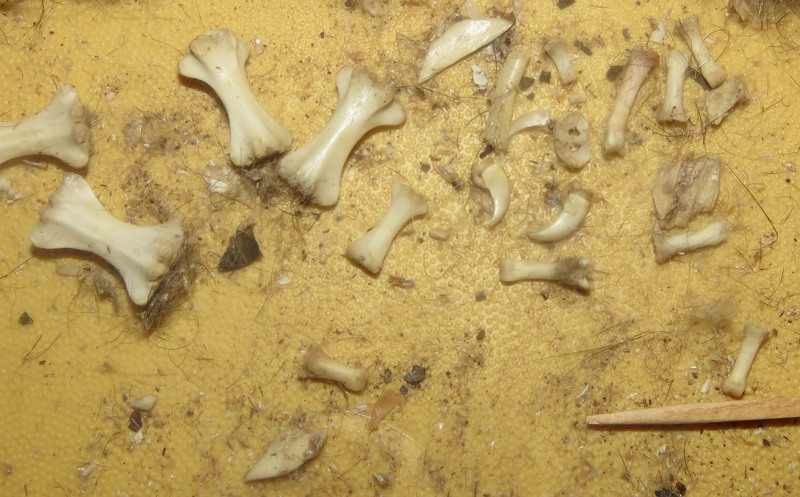 Some of the bones from the pellet. There is a toothpick on the lower right, for scale. I have just recently learned that not only owls produce these pellets of the indigestible parts of their prey; hawks and herons do too. 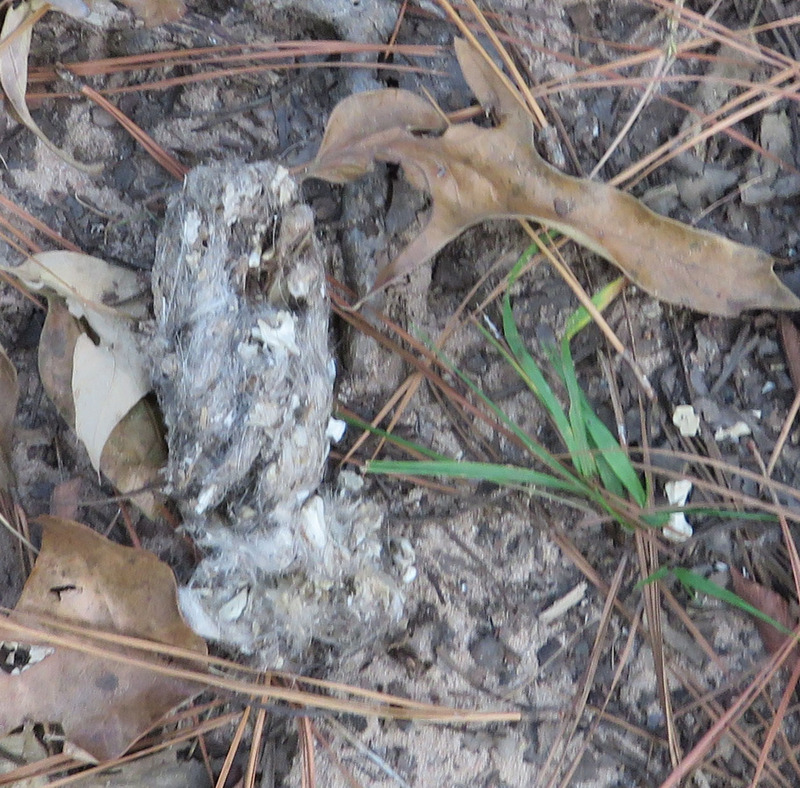 I would love to find a heron pellet and see what they have been eating, but I think this one was from an owl. Hmm…interesting, never thought of looking for the pellet.